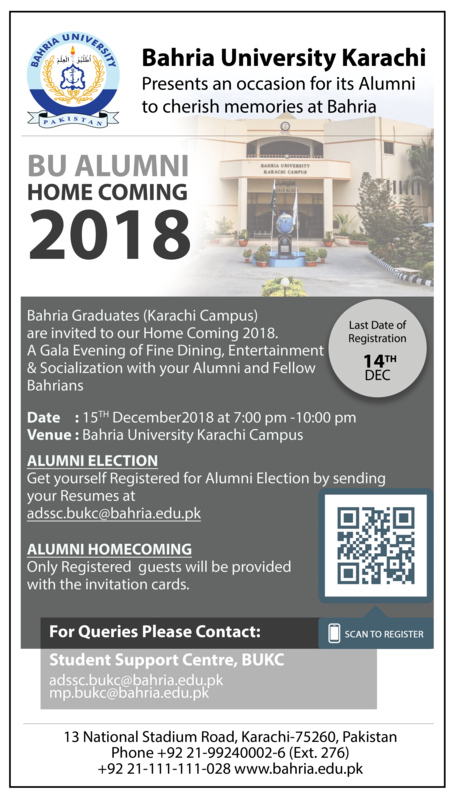 Bahria University Karachi Campus calls out their respected alumni’s to the homecoming, coming to the show and seeing all of your friends and peers. A chance to rejoice the time of your university life. *Registrations will be confirmed at the main foyer desk after paying the entry fee. Desk facility is available till 14th December 2018. Get your invitation card at your earliest as we have limited entries.